As our global world view matures, we discover intriguing artifacts of various cultural traditions. This month we explore world music, both indigenous and collaborative cross-cultural projects. The UK duo known as 1 Giant Leap deserves recognition for their 2009 CD What About Me? Additionally, we honor three musicians from African countries who meet this column’s litmus test for producing serene effects on listeners. 1 Giant Leap stirs a brew that swirls around indigenous instrumentation, drumming, tribal chants, eloquent native-tongue vocals, and gentle, haunting sweeps of electronic music. Duncan Bridgeman and Jamie Catto first exploded onto the world music scene in 2002 when they released their self-titled documentary film and CD around the theme of unity within diversity. The project includes spoken word and cross-cultural musical performances. Some of the tracks were composed by Bridgeman and Catto, giving the CD an underlying thread of musical refrains that appeal to both modern and traditional tastes. Dennis Hopper and Kurt Vonnegut provide philosophically inspiring words at the beginning of some tracks. Contributing musicians represent a broad range of countries: Baaba Maal (Senegal), Asha Bhosle (India), Eddi Reader (Scotland), Michael Stipe (U.S.), Brian Eno (UK), Zap Mama (Belgium), and Neneh Cherry (Sweden). 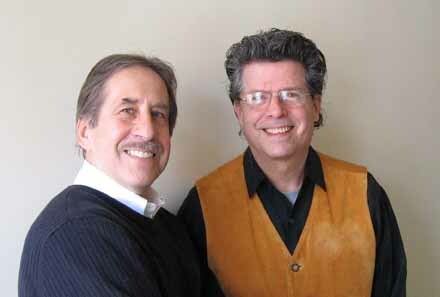 The success of the 2002 CD motivated the Leap duo to move ahead with a sequel. What About Me? was released in 2009 after four years of international recording treks that engaged a wider range of musicians, such as the South African female singing group Mahotella Queens with their splendid three-part harmonies. Each track on this CD offers a special treat. One choice example is “Serenity Prayer,” which recalls the traditional expression, “God, grant me the serenity to accept the things I cannot change, the courage to change the things I can, and wisdom to know the difference.” In this marvelous musical interpretation, we hear spoken words and singing by South Africa’s Mxolisi Lokwe and Scotland’s Eddi Reader, along with tabla and East Indian chants, classical Egyptian singing and flute, and throat singing by Huun-Huur-Tu, a group from the Russian federation Tuva. Imagine all this and more in one piece of music. The prayer rises to higher illumination on these notes. On “Wounded in All the Right Places,” U.S. singer k.d. lang offers her distinctively nuanced vocals accompanied by Chinese instrumental musicians and subtle curtains of electronic wash. On “1 Small Step,” Baaba Maal (Senegal) and Nana Tsiboe (Ghana) weave a curious blend of vocals and drumming backed by tribal chants, ending with the fading chorus of African children and tree frogs. Explore and enjoy this splendid double album. In a recent Fringe Toast Music Program for KRUU-FM, three outstanding African World Music artists were highlighted that help round out this month’s exploration. Ayub Ogada (Kenya) comes from a family of musicians in the Luo tribe of Western Kenya. On his 1998 CD En Mana Kuoyo, Ogada plucks the nyatiti, a lyre-like stringed instrument, while singing in his native language. Although not translated, the lyrics feel both solemn and uplifting. With such talents, it is not surprising to learn that Ogada’s music has been used on the soundtracks of several famous movies, including I Dreamed of Africa (2000), The Constant Gardener (2005), and Samsara (2011). Ali Farka Touré (who passed away in 2006) and Toumani Diabaté collaborated on a few albums in which Ali laid down vocals and guitar while Toumani played the traditional kora, a 21-string bridge harp made from a large gourd. The two excelled at blending musical themes through improvisations in flamenco, blues, and jazz styles. My favorite tracks are “Iga Bani” from the CD Heart of the Moon (2005) and “Machengoidi” from the tribute CD Ali and Toumani (2010). Geoffrey Oryema (Uganda) fled the turbulent reign of Idi Amin in 1977 after the death of his father, who had been a cabinet minister. His songs keep alive the hopes of the Swahili and Acholi people who live in exile and yearn to return home. Of the many tracks he has recorded, my three favorites are “Ye, Ye, Ye,” “Omera John,” and “Land of Anaka.” The latter track features a collaboration with UK’s electronic composer Brian Eno. If you are moving more toward the idea that “the world is your family,” then I encourage you to explore the many treasures offered in the world music genre, beginning with the artists mentioned here.